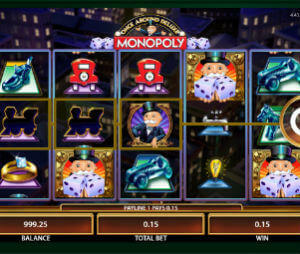 Wild Panda slots machine is an impressive 5-reel, 100-payline game, developed by Aristocrat. The game takes you for a journey to visit the endangered giant pandas which live in the thick bamboo trees in China. Wild Panda is not as popular as the classic Buffalo and Queen of the Nile slots, but give it few more years and it will probably get there. The slot theme revolves around the appealing Panda bear, with the wild panda being the main character. The slot offers a well-thought design and graphics, with Bamboo forest background and vivid Chinese symbols. The main ones are a Chinese Temple, Gold Fish, Umbrella, the Bamboo Sprout, the Lotus Flower and playing cards with P,A,N,D,A letters. Chinese golden coin is the scatter symbol. The highest payouts come from 5 wilds which you can get during the free spins. This will give you a return of x2000. Four wilds or five Chinese Temples will pay x1000. Three wilds are worth 500. We are sorry to update but Aristocrat disallowed playing their free games without registration. You can still play in fun mode without making a deposit, but only on one of Aristocrat casino sites, such as Slots Magic or PlayOJO casino. Slots by Aristocrat, WMS, Mircogaming, Netent, NextGen and more..
To trigger the free spins you will need to form the word “PANDA” on the reels. During the Free spins, all the PANDA letters that appear on the reels turn into Wild Panda, which in turn substitutes for other symbols, creating multiple winning combinations. Wild Panda slot is very easy to play. There are 2 buttons which control the bet size: “Denomination” and “Credits”. The coin value goes from $0.01 and up to $1. The number of credits goes from 10 to 50. This means that the minimum bet per spin is $0.1. If you wish to get higher stakes’ slot spinning action, you can do that by increasing your stake values up to $50.00 per spin. Besides those you have the Spin and Auto spin buttons. That’s it. To see the paytable you just need to click on the “Pays” button at bottom left corner. Wild Panda slots machine is compatible with both Mac and Windows computers. Unfortunately, it’s not available on mobile phones.